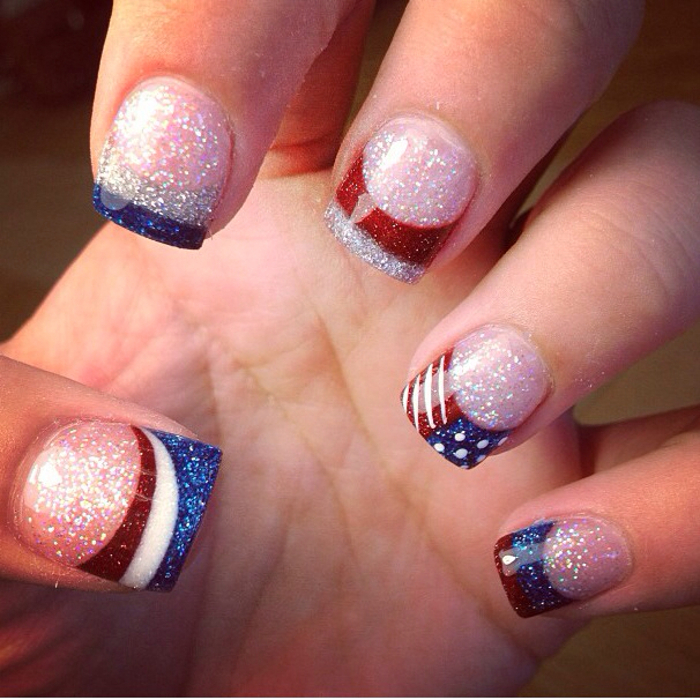 The 4th of July is a great time to get your nails done or play around at home with all-American designs. 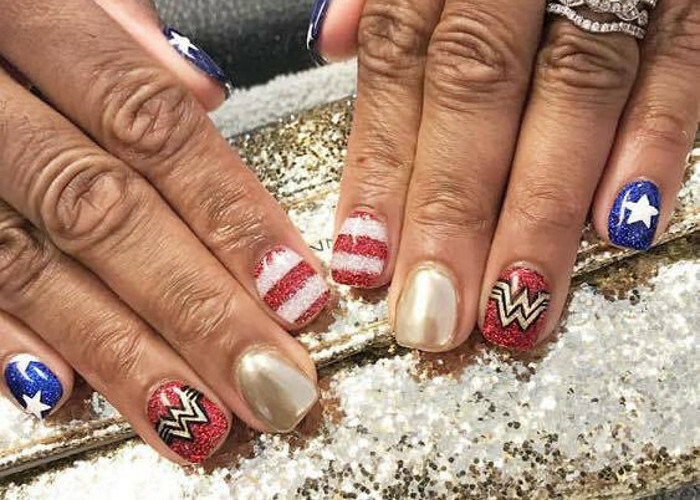 The white, red and blue nails are one of the most traditional ways to celebrate your love for the country through nail art. Besides the homeland flags and 4th of July fireworks, we found a bunch of other cool designs for you to try. It’s totally fine to get patriotic on 4th of July and experiment with all-American colors and designs. 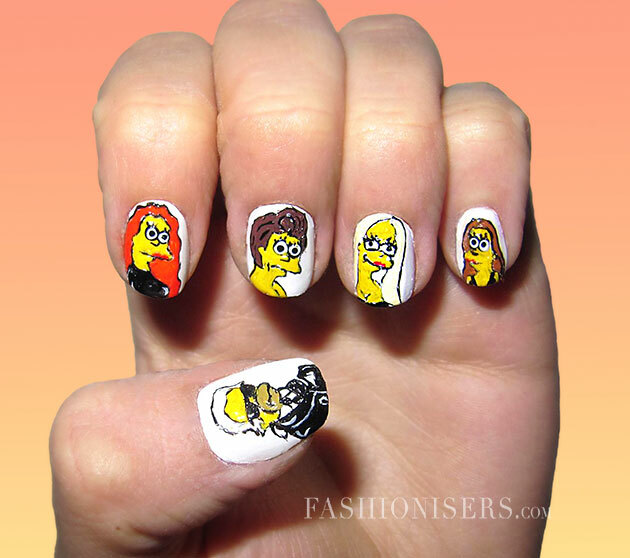 Let’s show everyone that America is the land of free and the home of fabulous nails! Spice up your regular French manicure with the colors of the American flag and some silver glitter all over your nails.